This article continues a series of posts on the black sheep sequels to NES games. This time, we’ll be focusing on what has become one of the most popular video game series of all time, Super Mario Bros. When Super Mario Bros. released in 1985, it defined side-scrolling platformers as a genre. While other platformers had utilized scrolling environments before, Super Mario Bros. delivered the concept on a home console in a wildly successful way. Partly due to being packaged with the NES at the time, Super Mario Bros. sold incredibly well, and at the time of this writing is among the top ten best selling video games of all time. Naturally, such a successful game is bursting with potential for follow-ups, and it wasn’t long before a sequel was released. Look familiar? If not, don’t worry—we didn’t get this one. This is a bit of an interesting case, because the sequel released in Japan in 1986 isn’t the focus of this article. The reason for this is that the immediate sequel wasn’t released outside of Japan until 1993 as part of the Super Mario All-Stars compilation on SNES, now referred to as Super Mario Bros.: The Lost Levels. It’s an interesting enough game, and it may be the focus of a future article or two down the road, but at the time, it was withheld from export both because it was too difficult and too similar—promising reasoning, given the premise of this series. While Japan received a sequel within nine months of the original game’s release, it took another two years for a sequel to surface elsewhere in the world. 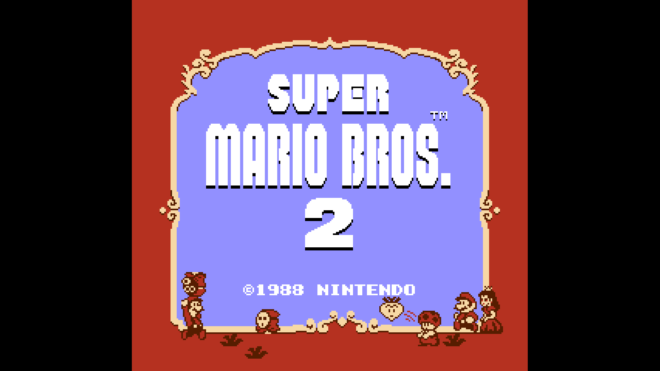 Super Mario Bros. 2, as it was released to the Western world, was a modified version of a 1987 platformer titled Doki Doki Panic. 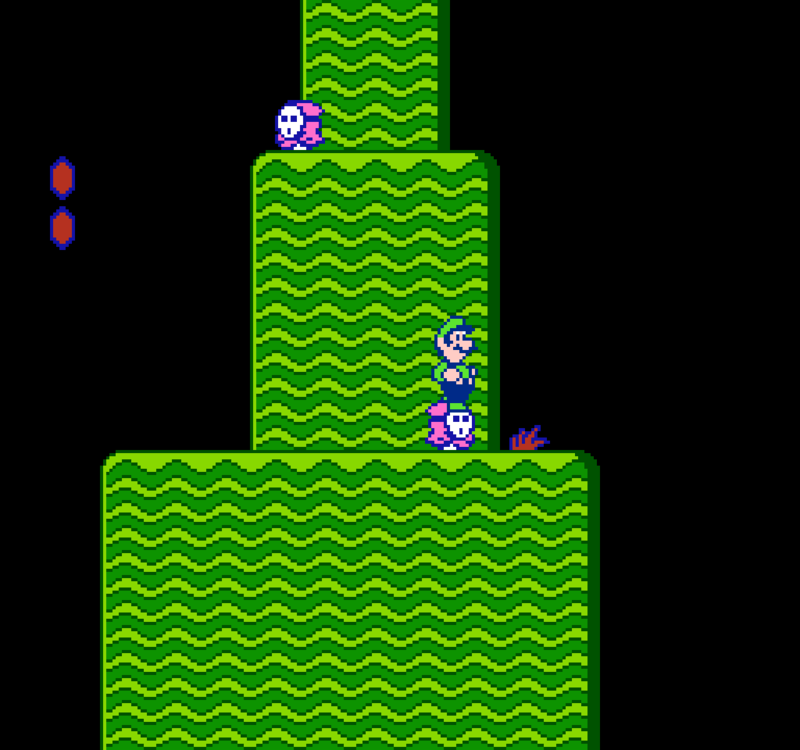 As such, the game was not originally envisioned as a part of the Mario series, and contains almost exclusively new enemies and obstacles rather than calling back to any from the first game. The core gameplay remains largely intact—jump from platform to platform to reach the end of each stage—but there are multiple playable characters, bosses at the end of almost every stage, and not a single enemy in the game takes damage simply from being jumped on. Instead, the player can pick up items out of the ground or enemies they’re on top of to throw at other enemies. This Tweeter refused to offer comment on the strange man lifting him from where he was aimlessly hopping around the plains. 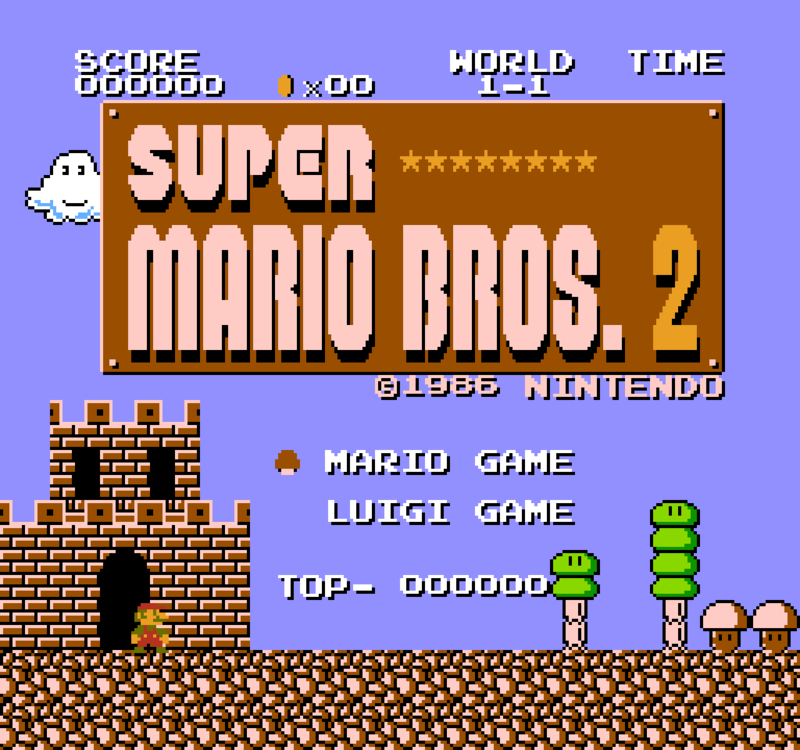 Super Mario Bros. 2—which was later released in Japan as Super Mario Bros. USA—didn’t draw much inspiration from its predecessor, but its strange dream world has continued to influence the series since. Birdo was significantly more aggressive in her first appearance than in most of her later ones. 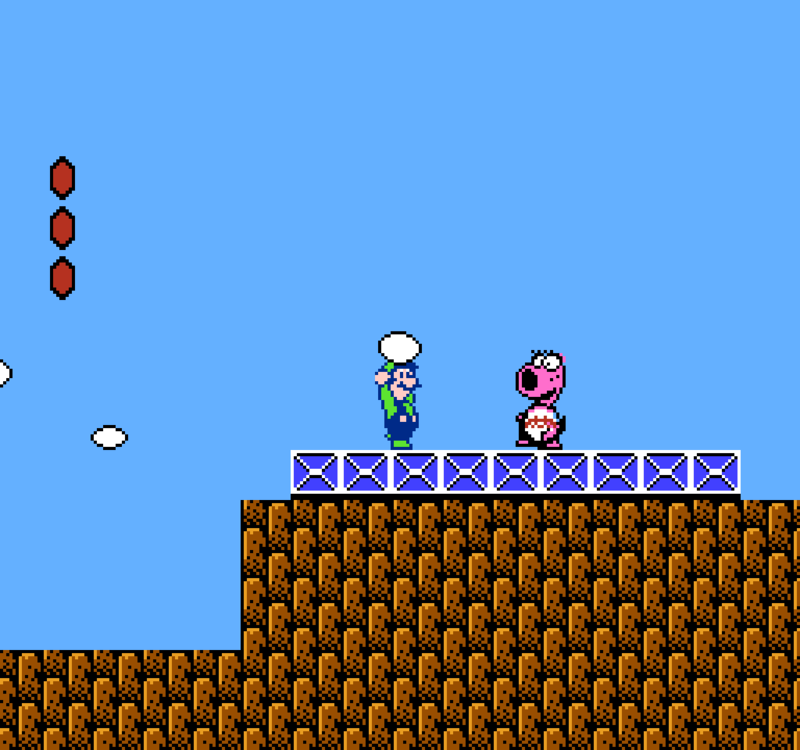 Many series staples, such as Bob-ombs, Birdo, and Shy Guys—which became the primary foes in Yoshi’s Island—originated in Super Mario Bros. 2. 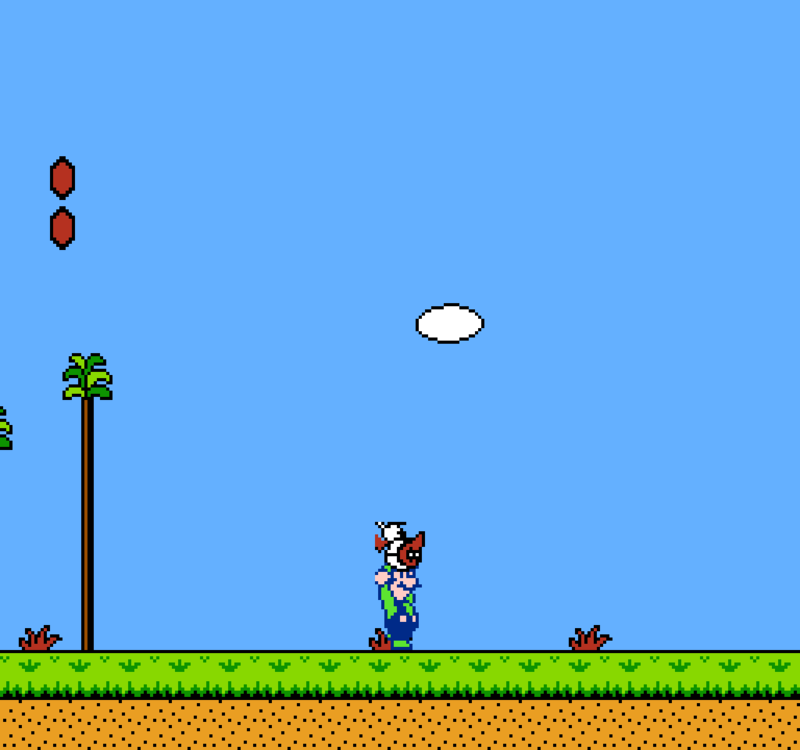 This game also solidified some of the character attributes that have continued to crop up in later games: Luigi jumps higher than Mario (which was actually in Lost Levels as well), Peach can float in midair, and Toad is fast but doesn’t jump very high. 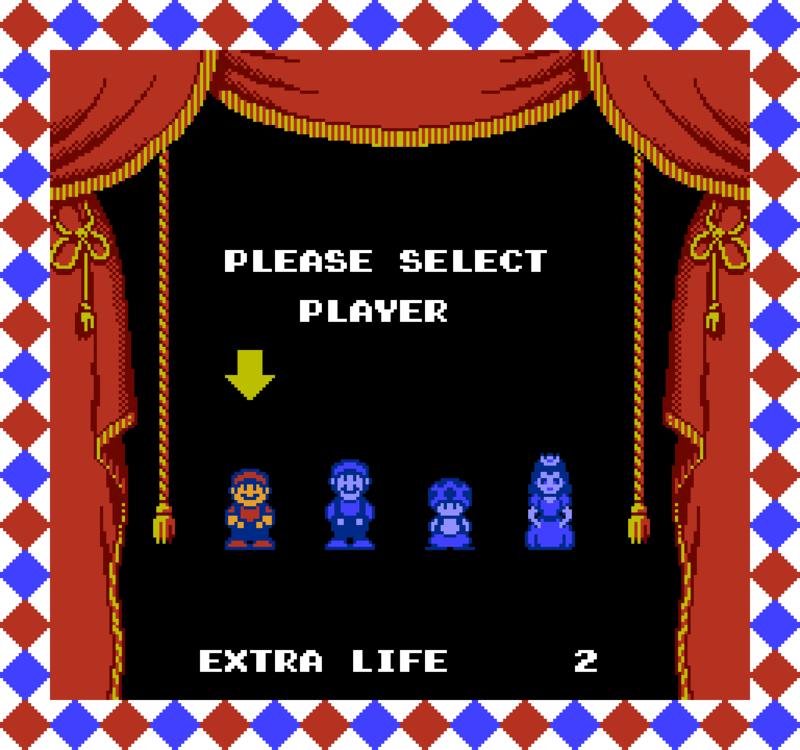 This same character selection returned in 2013’s Super Mario 3D World, with largely the same attributes as they have here. In addition, the ability to pull items from the ground—particularly turnips—has become a major part of Peach’s arsenal in the Super Smash Bros. series. There haven’t been as many callbacks to Super Mario Bros. 2 as there have for the original, 3, or Super Mario World, but it remains a solidly grounded part of series history despite being retroactively grafted in.